Zebraphanalia | Things that really interest me, kinda interest me, look interesting & sometimes taste good. Things that really interest me, kinda interest me, look interesting & sometimes taste good. 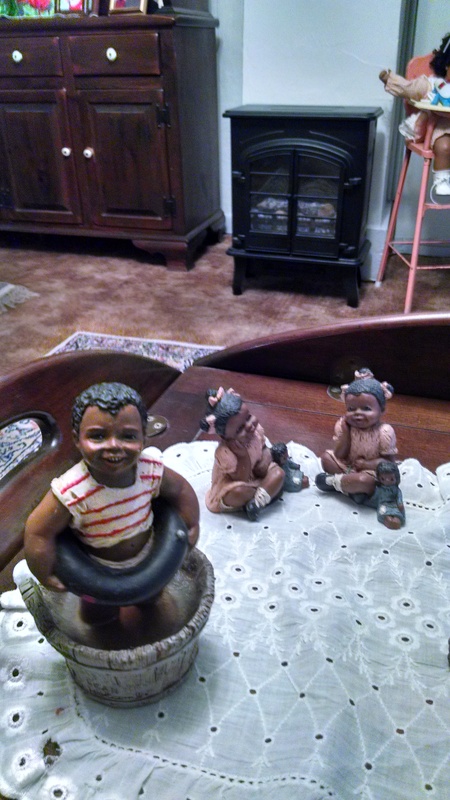 While browsing in Goody’s Boutique (see Goodwill Store) last December with my hubby, we came across a box of little black children figurines. My husband fell in love with them and asked if we could buy them. After realizing he was serious, I said I would buy them for him as a Christmas gift. 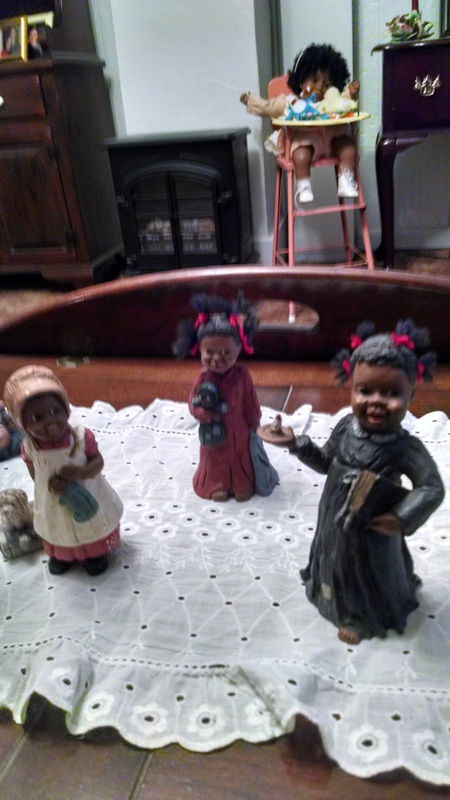 Figurines from Miss Martha’s Collectibles. The first picture is a boy named Bean and a little girl named Rachel (of which I got 2 so I call them twins). The second picture is a little girl named Kezia who is powdering her “baby”. 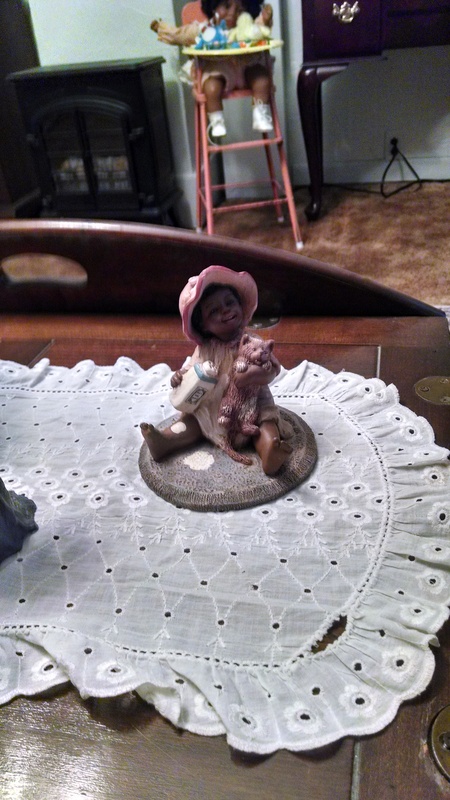 The last pic is a little girl named Bonnie with her doggie, a little girl named Prissy with her doll and blankie and an older girl named Selina Jane with a candle and Bible. Although I am not an expert with the camera (as in cropping and getting clearer shots) yet I think the charm of these children comes through and after almost a year finally figured out how to download them. I love drive-ins. That’s it. I just do. Seems to evoke some warm fuzzy feelings from my childhood but I don’t know why. Anyway I digress…Dependable Drive-in is the name of the 8th greatest wonder of the world. Open all year round, 7 days a week except winter when it is still open for Fri., Sat. & Sun! Cheaper than any other drive-in I’ve ever known AND it has 4, count em, 4 screens!! I am in like majorly with this place. They have the old style window speakers (or you can tune in on your radio). I chose the speaker tonight & it was a blast from the past alrighty. Zoby went with me of course and watched from the dashboard. He’s munching on part of my footlong hot dog there. He really enjoyed it (even though zebras are herbivores) once I explained it was no one he knew. Any negatives on this outing would only be that it is 1 1/2 hours from my home. Good thing I love driving! The project I mentioned last winter was finally completed! My daughter & son-in-law came to visit & while here, we tackled that project which was, to refurbished two rather unique old chairs I had. Instead of my original plan to reupholster them, I found a website that showed how to paint upholstery! We both put 2″ firm foam in the seats before we started as both seats were quite concave. We removed the underside fabric to install the foam (cut to the size of the seat) and nailed the fabric back over it. THEN we worked with common latex enamel paint mixed with a fabric medium. We misted the chairs fabric with water before painting. My daughter chose a light green paint & I chose a medium green. We put on a second coat within an hour. If the chair is a little stiff or has some rough edges from the paint, use a very fine grade of sandpaper (120) to soften it. Both turned out rather well considering the condition they were in. One of the two original chairs. Both chairs after the first coat. Both chairs after the second coat. Nice! This was a lot of fun & took barely two hours. Down the road we may reupholster our chairs anyway, but for now it’ll do fine & we learned something new! 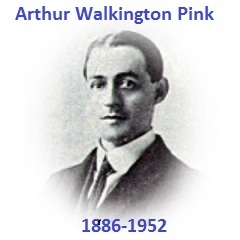 Found a really good book titled The Sovereignty of God by Arthur Pink. It gives a very definitive explanation of the absolute reality of election. I haven’t finished the book yet as it is rather heavy reading and needs to be digested slowly to understand clearly, but I am enjoying it and thought I would share this with you. Be forewarned, you will not find any vampire love triangles or brain eating zombies in this book but clarity of God’s salvation of saints is provided! The Westmoreland County Sportsmen’s League had their Annual Family Event on May 6th this year. It was our biggest turnout so far with some great displays, animals, & prizes! All the prizes, food & admission was FREE thanks to some wonderful sponsors & volunteers! I included some of their signs as well as a number of pics for all to view. You can see some of our wonderful volunteer workers as well as some of the children who won prizes too. There were far too many folks involved for my little cell phone to catch all their pics, sorry guys! Here’s hoping we see an even better turnout next year! Found this sparrow egg in Ligonier last week. I put it here between a house wren’s & a robin’s egg so you could see the size difference. This is scaled to actual size but I’m not sure if that will come over on the blog. Aren’t bird eggs neat? I found my first egg for this year, cracked & already emptied, at my new job. I felt it was saying, “Welcome, can I be in your collection”? Yes, yes you can!